This page features six diverse examples of music from Tibet, ranging from traditional to hip-hop, and performed by over 30 musicians including both highly popular professional artists and political prisoners. The songs of the Drapchi nuns date back to the early 1990s, but the remainder are much more recent. 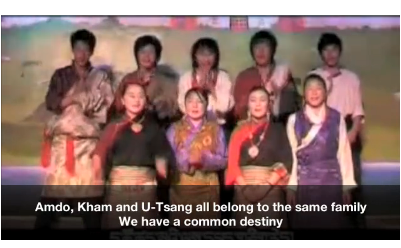 Some of the music is openly political, whilst other songs are a celebration of Tibetan identity and an appeal for unity among the Tibetan people. Click on the links below each image to view videos and listen to songs, to find biographical information about the performers, and download lyrics in a number of languages.